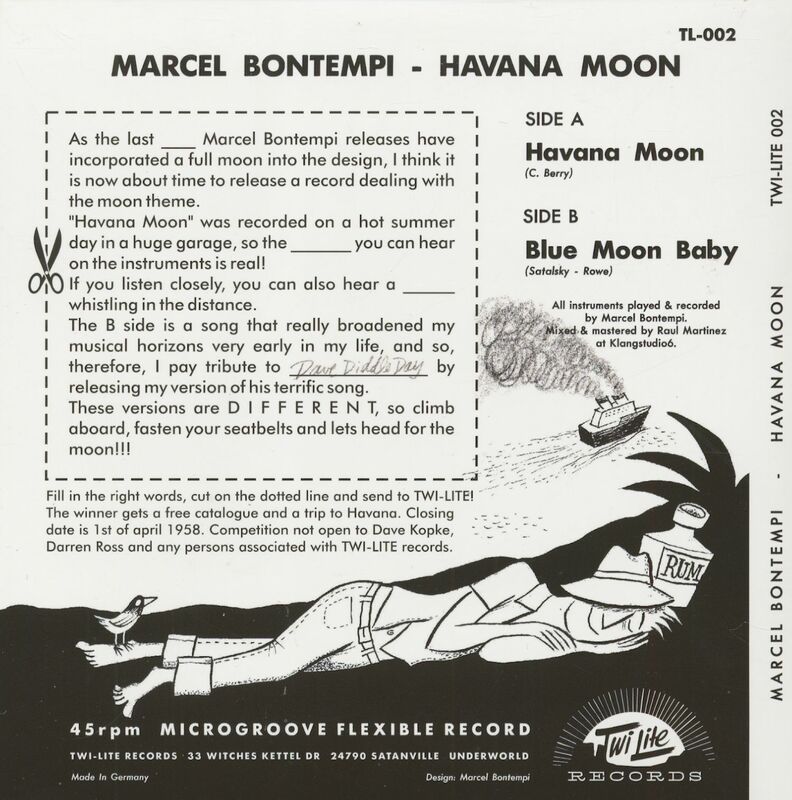 (Twi Lite) Marcel Bontempi's newest hit, featuring two South Americanesque 'Rum-Rockers' incl. two fantastic interpretations of Chuck Berry's 'Havana Moon' and Dave 'Diddle' Day's 'Blue Moon Baby'. Highly recommended for hot summer nights, and danceable if you'are in the mood to 'schwof' across the dancefloor with your sweetheart! Marcel Bontempi - graphic artist, musician, professional youth! 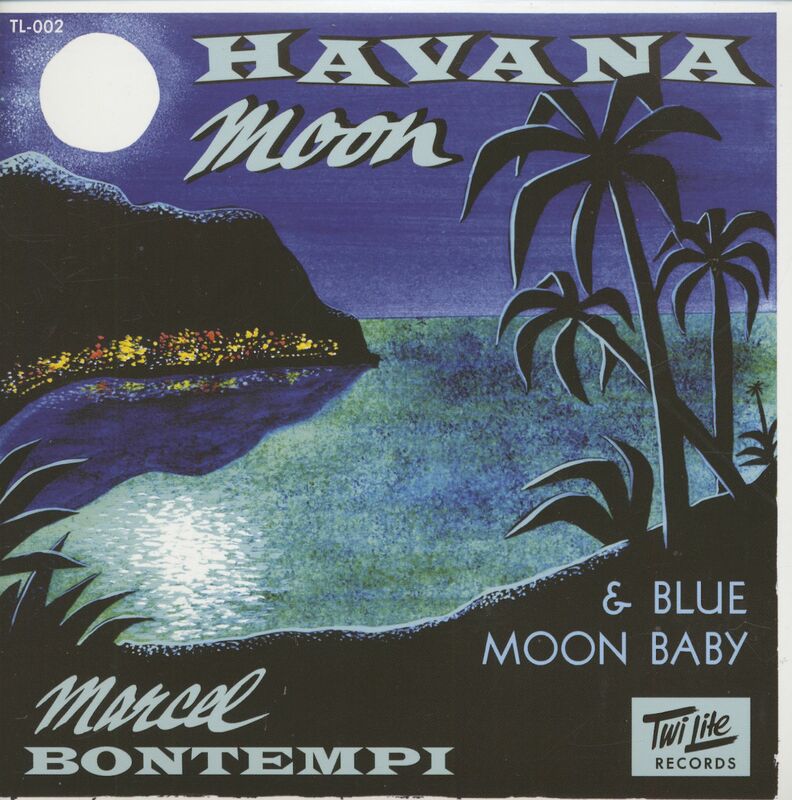 Marcel Bontempi, who lives in Gudensberg, is certainly known to many through bands like'The Montesas','Dr. Bontempi's Snake Oil Company' or through his musical solo projects, but more people may know him or his works as an artist. Whether cover, poster design, artwork or stage design - his versatility and wonderful works have made him an established figure in the field of rock'n'roll illustration for a long time. Customer evaluation for "Havana Moon - Blue Moon Baby (7inch, 45rpm, PS)"